Be the first to share your favorite memory, photo or story of Jerenie. This memorial page is dedicated for family, friends and future generations to celebrate the life of their loved one. 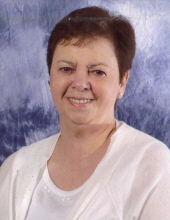 Jenerie Prochaska, age 80, passed away March 27, 2019 at Mercy Medical Center in Des Moines. A Gathering of Friends and Family will be 1:30 p.m. Saturday, March 30, 2019 at the Iowa Arboretum, 1875 Peach Ave., Madrid, Iowa 50156. Jenerie Mary Prochaska was born in Houma Louisiana on July 22, 1938, the daughter of Jackson and Linda (Gally) Billiot. She enjoyed volunteering with the Ames Garden Club and at the Iowa Arboretum. She is preceeded in death by her parents; husband, Gary and daughter, Erica Prochaska. Jerenie is survived by four children; Junior (Robyn) Billiot, Montegut, LA, Brent Craigmile of Covington, LA, Mischa (Scott) Hoffman of Des Moines, Elaina Johnsen of Pleasant Hill; nine siblings, five grandchildren and one great-grandchild. To send flowers or a remembrance gift to the family of Jerenie M Prochaska, please visit our Tribute Store. "Email Address" would like to share the life celebration of Jerenie M Prochaska. Click on the "link" to go to share a favorite memory or leave a condolence message for the family.